Hardcover, 11.75 x 9.5 in. / 144 pgs / 115 color / 2 bw. Text by Eberhard Fahrbach, Gerald Felber, Karin Lochte, Frank Rödel. 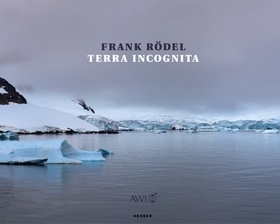 German painter Frank Rödel (born 1954) has a longstanding fascination with the Antarctic, which he photographed during an expedition made by the Alfred Wegener Institute and later reprised in his own paintings. Terra Incognita contains photographs and paintings of vast Antarctic land- and seascapes. FORMAT: Hbk, 11.75 x 9.5 in. / 144 pgs / 115 color / 2 b&w.